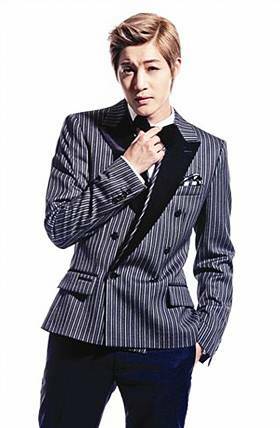 Kim Hyun-joong, who released his second mini album, said, "I want to perform music that has a reversal". 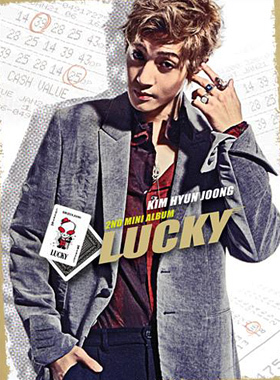 Singer and actor Kim Hyun-joong cast off his tough and charismatic image and made a comeback with an image of a mischievous gambler. Kim Hyun-joong released his second mini album entitled "Lucky" on October 11, and it was different from his first solo album entitled "Break Down" by utilizing a funky band sound. Kim Hyun-joong gave an interview at Coex Intercontinental Hotel on October 10, and he said, "I have wanted to present music that has a reversal. Many people seemed to expect that I would release music that would be similar to my previous album 'Break Down', and I think that I successfully provided a reversal in light of that. People will evaluate my album, but I personally want to give 100 points to my album as I had put my utmost efforts into create this album". He revealed that he was satisfied with his album. He continued, "I think that I have to play music that my fans and ordinary people can enjoy. 'Break Down' was not a kind of music that people will pay to download the songs, but I thought that people might be able to enjoy the new album while watching and listening to the songs. This time, I focused on music that everybody can pleasantly sing along to". The album "Lucky" contains a total of five songs including funky rock music with the up tempo track "Lucky Guy", which is based on the sound of his band, a funky rock-and-roll track entitled "Do You Like That?" the ballad song entitled "I Am Your Man", and a song with lovely lyrics entitled "U". 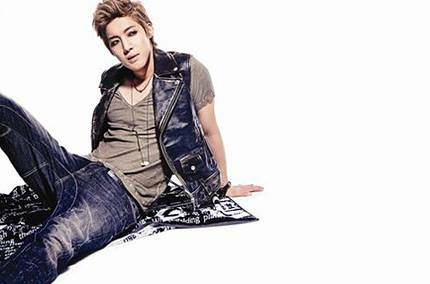 Kim Hyun-joong is highly interested in band music, and he came up with the idea of creating "band music that can be listened to while dancing". Members of the rock band "Day Break" and the funk soul band "Common Ground" participated in playing the music. Kim had presented the image of a tough man with his previous album "Break Down", but this time, he had to create the image of a "preppy guy" who is stylish and mischievous, so he tried to lose weight and successfully lost five kilograms by exercising. 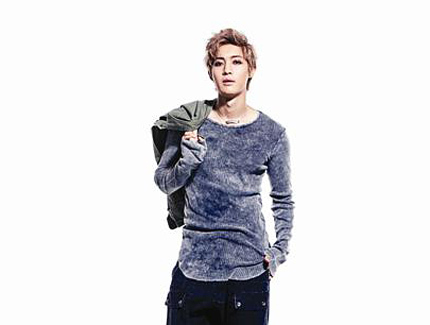 Kim Hyun-joong emphasized his new image by saying, "I wanted to create popular and stylish music. And when I had been agonizing over how to present a freewheeling image, I happened to watch the movie 'Ocean's Eleven', and I thought 'This is it' because it looked so cool to me. I tried to come up with various exciting elements". He also used the idea of telling the story of a gambler inspired from the movie 'Ocean's Eleven' for his music video, which will be soon released, and there will be another reversal that he used on purpose considering the censorship criteria. The characters of the music video will play games in the casino, but the game is actually a board game named Blue Marble. Kim explained, "We filmed the board of the Blue Marble game and the chips separately considering the censorship criteria". He laughed. Kim will hold activities with the new album in Korea for only three weeks, and then he will begin a concert tour in Japan. The concert tour will begin from November 9 in Osaka, and he will also hold a concert in the cities of Japan including Tokyo, Nagoya, Sendai, and Yokohama with a total of 30,000 audience members. Kim Hyun-joong said, "I feel sad that I have to finish activities in Korea after such a short schedule as the schedule for my concert tour in Japan had already been organized. But at the same time, I think that it will be a good opportunity for me because Girls' Generation will also begin activities during the same period as me. I have to perform music when people are highly interested in music (laugh)". Kim's schedule has been fully booked. He will release his digital single in December and his third album next year in January. In addition, he is also planning to hold a world concert tour. He explained the reason why he released his second album after only four months since he had released his first solo album in June. It was because he wanted to have many good songs before he will hold the world concert tour. He will also make a comeback as an actor next year at around June after he finishes his world concert tour. He revealed his desire for acting by saying, "I have not chosen any work to appear in yet, but I will definitely appear in some work". Kim added, "I think that I cannot hold activities both as a singer and an actor at the same time. It will be very tough. Acting is also a very hard task, but it is still very difficult for me as a singer because I have to always stay in tension due to the fact that a singer is constantly evaluated by people. And I think that time flies while I am holding activities as a singer. When I was busy with activities as a singer, I realized that I want to act again. People can remember acting for a relatively long time; they tend to easily forget about music. But I do not want to appear in a movie, as a movie requires detailed acting. I want to develop my acting ability more while appearing in a drama. I want to take time before I will appear in a movie even though the character whom I will play will be a trivial role". Kim revealed his plan to release another album at around the end of next year and to hold a concert. Asked whether he feels any difficulties due to his tight schedule and plans, he answered, "I always say that I want to take a break. But I found out that I could not actually take a break even though I have time. One week of break seems to be the maximum period for me. I took a break for one month before I moved to a different agency last year, and I became totally dejected at that time. I felt pressure and I wanted to do something at that time". He reportedly already made plans for his next two years, and he personally revealed that he had already thought about the concept for his next album that will be released next year in January from the moment when he debuted. In addition, he does not want to have a relationship because he has been so busy with his work. He seldom watches TV. He said, "There are only two programs that I watch -- 'The Expert of Life' and 'VJ Special Forces' -- and I like those programs very much. I have realized that there are many mysterious people in the world and I want to focus on only one thing to become an expert like those people". Kim has continued to hold activities since his debut as a member of the idol group SS501 in 2005, and asked what has changed, he answered, "I was young when I debuted, and I was just happy about becoming an entertainer. But now I have become more attached to my job than before. I always think that I have to be fully prepared for my performances. In addition, I learned how to form relationships with other people. I should not be satisfied with my present position because it will hinder my own development. I have come to feel enthusiasm when thinking about my work". Asked about the possibility of holding activities as the group SS510, he revealed that it would be difficult considering the fact that the members belong to different agencies now. He said, "I might have told good words for my fans, but I have to tell the truth. But we might be able to perform together as part of a joint performance or at an awards ceremony". His final goal as a singer is reportedly holding a free concert at Olympic Stadium with his fans from all around the world and announcing his retirement. Kim said, "I want to finish my activities as a dance musician there. I do not want to show my dance performances until I reach my thirties. I want to study more about music and perform different genres of music, such as band music, that I have always wanted to perform".